Google on Wednesday updated its official "Wallet" application for Apple's iOS, giving users the ability to add a credit card to the service by simply taking a picture of their card. The latest version of Google Wallet is now available as a free download from the iOS App Store. The software will automatically capture the number and expiration date of a debit or credit card using the iPhone's camera. The new update also gives users the ability to instantly sign on to Wallet if they use other Google iOS applications supporting single sign-on. Users can now also use the Google Wallet Card to spend their Wallet Balance at millions of MasterCard locations, or to withdraw cash at any ATM. The Google Wallet service for smartphones was previously NFC-dependent and exclusive to Android devices. But after Google Wallet kiosks with NFC support failed to catch on, the search giant revised its approach and made the service a digital card holder, covering credit cards as well as store and rewards cards. Google Wallet for Apple's iOS debuted on the App Store in September, giving users the ability to transfer money and house loyalty cards on their smartphone. Money can be transferred to another user's e-mail address, similar to PayPal, and those transfers can be done for free. Google Wallet also has PIN security, 24/7 fraud monitoring, and "Purchase Protection." 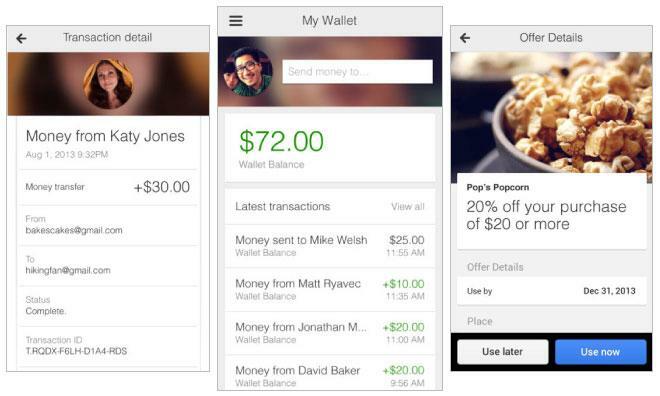 If a user's iPhone is lost or stolen, the Google Wallet application can be disabled online.